With implementation of power lines cutting campaign on power indebted customers, now most of them have been ready to pay their energy dues. This step has faced the indebted energy consumers to directly refer to main office of Breshna Co and this campaign was started earlier. Spokesman of Breshna Co Wahidullah Tawhidi said, following cutting of their power lines, majority of indebtors became ready to pay their dues from most parts that their energy lines were cut. Some of them requested installments or paid their dues. This nationwide campaign will intensively continue. He added, most of these indebtors have been called permanent indebtors because they had not paid their dues for many years. Last year, this company had claimed that a number of powerful energy consumers including senior government authorities refuse to pay their dues for energy consumption. He clarified that energy consumption dues would not be forgiven to consumers. But we can help them to pay their debts by short and long term installments. Majority of Kabul subscribers complain on lack of energy that happened due to no payment of energy dues by subscribers. Nasir Ahmad a resident of Kabul said, unfortunately no payment of energy bills is strong blow to the public treasury. Subscribers should realize their responsibility and pay their dues on time. Those who ignore this regulation, their energy lines should be cut. He added, there are rumors that when Breshna Co fails to collect payments for energy bills, charge it on ordinary consumers and I hope so not. According to Nasir Ahmad, nowadays, bills of energy payments of ordinary consumers have been increased and Breshna officials should provide details on this issue, because majority of people are poor and don’t afford to pay high charges. Enayatullah 50, a taxi driver with a constant monthly income of Afs 10000 said, people should pay their bills on due time, otherwise it will be increased every month and would become beyond our afford. 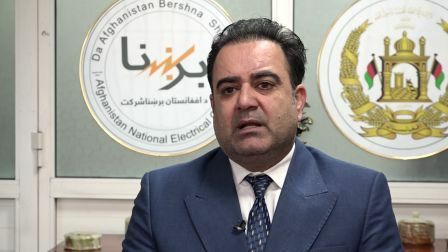 Breshna spokesman added, we decided to settle this problem through power able cutting campaign but warn that if people ignore it, serious legal stops would be taken and their identity would be released in media. Since several years, large number of senior authorities and powerful people and private institutions have been indebted for energy bills and Breshna has not taken steps against them.